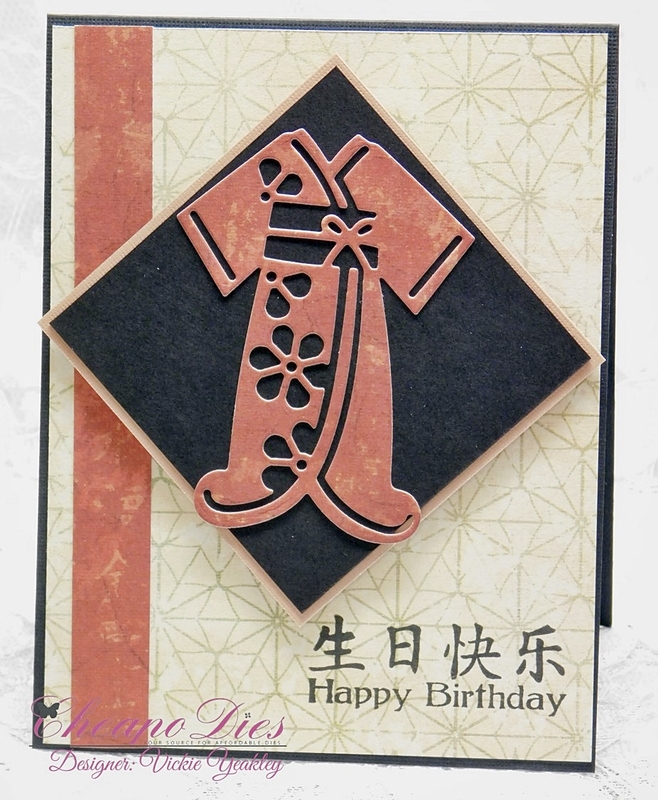 Vickie Y sharing an Oriental style card using the Kimono die. 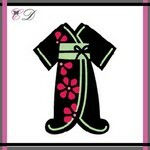 I die cut the Kimono from a scrap of designer paper from the DCWV Far East paper stack. The background layer is also cut from that paper stack. The sentiment is from a stamp set that is now retired. 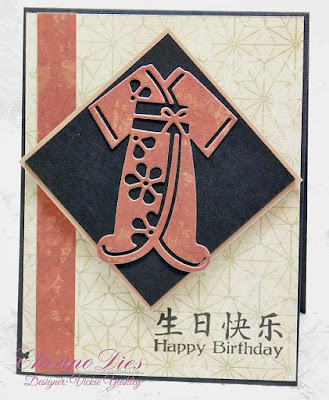 Fabulous card Vickie and what a perfect sentiment to go with it!